Peter Wohlleben, Forester, Minicipality of Hummel, Germany, Author of 'The Hidden Life of Trees': "Trees are very social beings. The parents, the "Mother Trees", are looking after their offspring." Dr. Suzanne Simard, Professor of Forest Ecology The University of British Columbia: "I started looking at the root systems, and I found that the roots of these different species when they grow together, they all intertwined and interlinked together." Peter Wohlleben: "What we call a tree is only what is visible above-ground. However, the major part of it's life takes place underground. One teaspoon of soil may contain several kilometers of string-like hyphae, that form the 'Internet of the Forest'". Dr. Suzanne Simard: "The microwave network is just below the surface of the of the forest floors all of the trees were all linked together in a single massive network." Peter Wohlleben: "Trees have feelings. They can feel pain, but can also have emotions, such as fear. There is in fact friendship among trees. They can form bonds like an old couple, where one looks after the other." 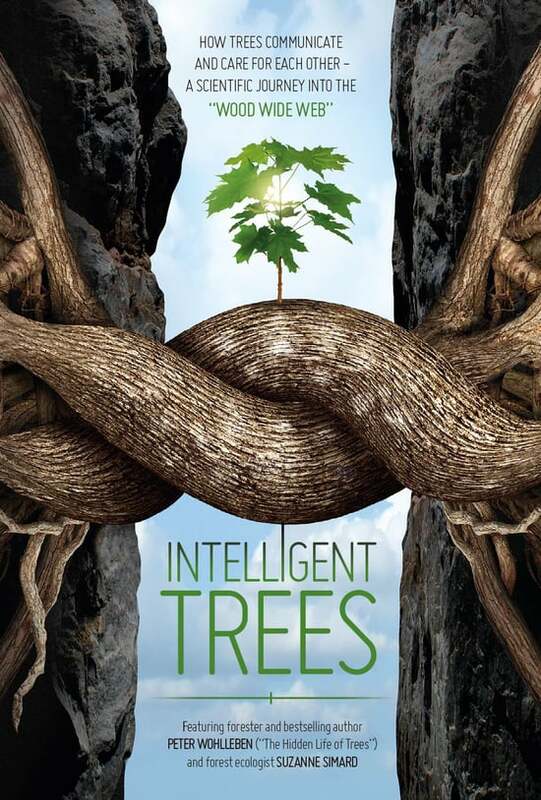 Peter Wohlleben: "Trees of one species are not competitors. On the contrary: They actually support each other." Peter Wohlleben: "If a tree is attacked by insects, it warns all the others." Dr. Suzanne Simard: "The root systems of trees and forest is the brains of the forest." Peter Wohlleben: "Trees like to stand close together and cuddle. They love company and like to take things slow."